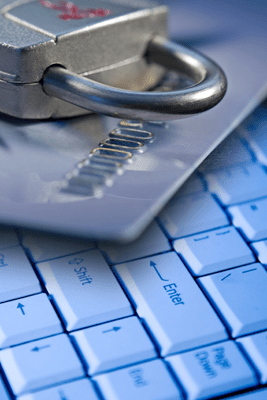 Protect Yourself From Credit Fraud! Throughout history, those looking to do harm to others tend to prey on the weak and naïve, or those who lack a strong support system. Sadly, in our day, this often ends up being our Senior Citizens. Because of this, we live in a world where Senior Citizens are often the target of financial fraud. As a mature American, or the child of one, what can be done to make sure you or your relative does not become the subject of such abuse? A recent article on MSN Money * focuses on steps that individuals and their families can take and emphasizes the importance the individual participating in the policing of his or her own finances if possible. When fraud is detected, it can be frightening and confusing for the parties involved. For this reason, the FBI has come out with a comprehensive, yet easy-to-read, list detailing the different types of fraud and how to prevent them. Click here to view the information on the FBI’s Website. http://www.fbi.gov/scams-safety/fraud/seniors. With all this in mind, it can be daunting to bring someone new into your financial life. At Cornerstone, we understand those fears and do our best to make your experience in dealing with us as reassuring as possible. As brought out in the article, Credit Card Fraud is one of the most common types that seniors face today. Here are a few steps that can be taken to help elderly relatives avoid becoming a victim! Talk to your relative about email scams. You can’t be around your relative constantly, so take the time to explain why he or she should never give a credit card number by email to buy a product. These scams often promise a great product — anti-aging products, for example — but scammers need your credit card information. This type of scam also happens over the phone. Seniors get a call and are offered a new product that promises, say, youthful energy. Once scammers get your loved one interested, they ask for a credit card number to seal the deal. Keep an eye on caregivers. Maybe your mom is still at home and has home health care a few days a week. Or maybe she’s in a nursing facility with nurses and various medical assistants always present. Hopefully, your parent is dealing with professionals who are trustworthy. Just keep in mind that there are many reports of caregivers using a credit card belonging to people they’re taking care of. It’s awful that someone could stoop so low. But it happens all the time. If you can, it’s best to visit your elderly relative frequently and shred any mail with personal information on it. If your mom has credit card accounts, you can view account activity online with her. You can even opt out of paper statements altogether. That way, credit card account numbers won’t be within easy reach of whoever is in the room. Credit card fraud can still occur, of course, but by frequently checking your mom’s accounts online, you’ll notice if something suspicious pops up on her statement. Even if you can’t visit often, you can still check her credit card accounts online every week from your home. But ask for her permission so she doesn’t feel as if you’re invading her privacy. Keep an eye on other family members. Unfortunately, family members are often the ones who rob their parents or grandparents. If you have a family member with a problem such as drug addiction or gambling debt, that’s a red flag and warrants additional caution. When people are desperate for money, they can justify taking it from anyone. They’re counting on the fact that no one will notice. You can prove them wrong by keeping on top of your relative’s credit card account activity. Check the mail. You can learn a lot from the mail. Is your loved one getting letters from “charities” asking for a donation via her credit card? If she’s getting letters from organizations, she may have sent money to them previously. Looking at credit card accounts online is a good way to make sure she isn’t authorizing payments to fraudulent entities. Pay attention to new friends. The National Committee for the Prevention of Elder Abuse recommends keeping track of any new “best friends.” The relationship may be innocent, but if it’s sudden and there’s an age difference, this may be a red flag that someone is planning to commit fraud.